Jack Steiner is encouraging his readers to join him in writing blog posts based on a stream of consciousness (a.k.a. the monkey mind – in the not so humble opinion of the Zen masters). This post is my own exercise in monkeying around. I thought I’d go the extra mile for Jack. I’m thinking about two days ago. I was drinking coffee and chatting with Mockingbird and Emma Frost about the lightning rod. The Lightning Rod is a weapon in the Marvel Avengers Alliance browser game. It’s something you pay real cash for. It costs about $15. It’s also a limited edition item so if you didn’t buy it anytime in the last six days – you lucked out. Because the lightning rod is crap and it’s not going to advance your game – never mind the unlikely exceptions. 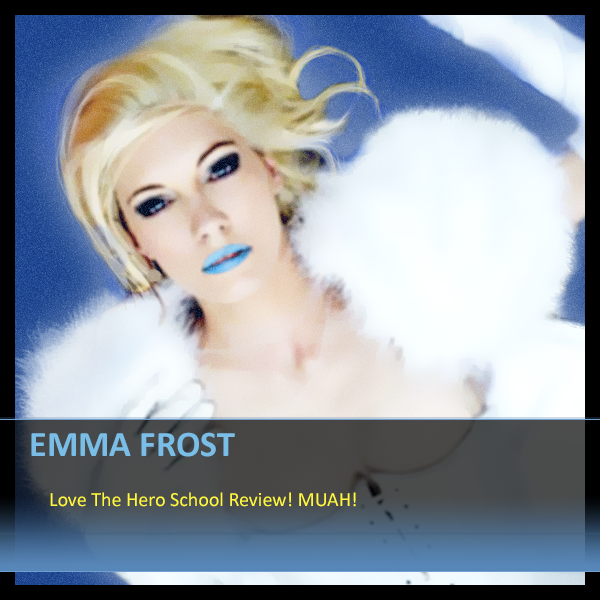 Sometimes, I write reviews about this kind of limited edition gear (and heroes) in The Hero School Review. So I was hanging out with Mockingbird and Emma like I said and the doorbell rings. My least favorite person in the world is standing outside the door with four gorillas. I can just barely make out the faces by my security monitor. The lights in the hall are off – intentionally. I fetch an axe and return to stand on the other side of the door. I raise the axe to the window above the door and tap it against the glass as I say loudly, Trouble never comes alone. It’s a Romanan proverb. Sure, they heard me and they saw the head of the axe. I could feel their doubt and hesitation as their empty hearts fell out of their chests. Yeah, it really happened just like that. I’d like to tell you what happened next but according to Jack’s rules, this post has to come to an end. I have 30 seconds left to make my mark. That’s ok. Because I have only two more things to say on the matter. The first repeats what Jack Steiner wrote. Because it applies here. Don’t challenge me unless you are willing to take what comes with it. The second is from another Rush song, Bravado. We will pay the price, but we will not count the cost.